Apprentice carpenters Adam Kotsakos and Dale Pryor. 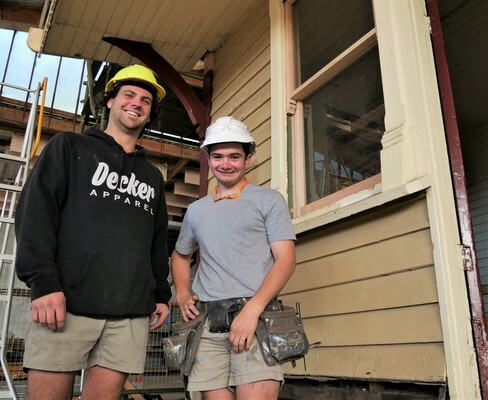 More than 200 Dandenong students are helping to return an old train station building to its former glory. 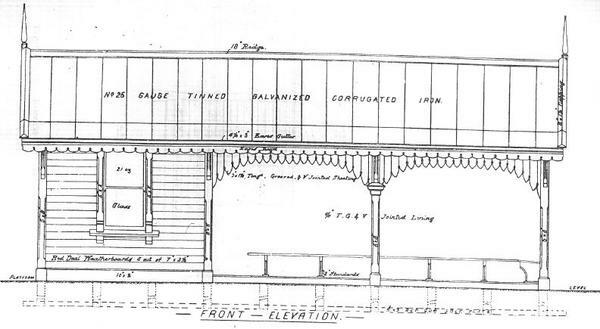 The Chisholm Institute crew is restoring a heritage-listed shelter salvaged from the Clayton station during level crossing removal works. It’s more than 120 years old and will soon be returned to the precinct as a historical feature. Apprentice carpenter Dale Pryor, whose father is also in the trade, said he’d expected to spend most of his apprenticeship sweeping floors. Now he can’t wait to show off his handiwork to his mates. “It’s not every day you get to work on something so old, that members of the public have been through every day,” he said. Level crossing removal authority CEO Kevin Devlin said many people felt connected with railway lines because they were so rich with history. “There aren’t too many examples of stations of this age around Melbourne, so where we see an opportunity to preserve history, we are mindful of taking it,” he said. A heritage advisor and a heritage architect are guiding the refurbishment. Chisholm CEO Dr Rick Ede said students needed real-world experience to find their way into great jobs. “This is a fantastic training opportunity they wouldn’t normally have,” he said. Students found old tickets and flyers within the station walls. These items will be featured in a permanent indoor display.